The Binghamton Junior Senators continued their strong start from Friday night with another 16-goal outing Saturday evening. 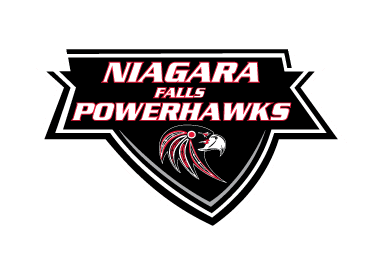 In the second of two games against the visiting Niagara Falls PowerHawks, the Junior Senators skated away with a 16-1 victory. Mike Padgeon opened the scoring 7:34 into the first period with a power play goal. Rory Gresham and Eric Melso added the assists. Zach Bell added his own marker 66 seconds later, with Will Darling assisting. Padgeon scored his second of the period at 14:56, with Meslo on the assist. Padgeon completed the hat trick in the first period with another power play goal at 18:54. Mason Fay and Darling provided the assists. Melso kept the puck rolling in the second period with his first goal of the night at 4:26. Padgeon and Riley Botting assisted. Binghamton scored again 29 seconds later to make it 6-0. It was Zach Bell, unassisted. Bell scored again 65 seconds later, this time with assists credited to Fay and Darling. Marcus Cook extended Binghamton’s lead to 8-0 just before the halfway point of the period. The goal, at 9:48, was came with assists from Greg Simmons and Zach Bell. Mason Fay continued the onslaught with his goal 11:01 into the second period. Bell and Liam Murphy assisted. Melso struck with another power play goal at 14:33. Simmons and and Darling provided the assists. Zach Bell completed his own hat trick with 4:34 left in the second period. Cook picked up the assist on the shorthanded marker. Rory Gresham gave Binghamton a 12-0 with his own shorthanded goal only 39 seconds later. Liam Murphy assisted. With no let up in sight, Binghamton started the third period with three more goals before Niagara Falls finally got on the board. Cook opened the scoring in the period with a goal only 79 seconds in. Simmons assisted. Caden Dearborn put his name on the scoresheet 70 seconds after Cook’s goal. Murphy was credited with the helper. Zach Russell bumped the score to 15-0 4:01 into the final period of play. Niagara Falls finally broke the goose egg on their side of the scoreboard when Jake Ruchala scored unassisted 9:12 into the period. Binghamton then closed out the scoring for the contest with Eric Melso’s third goal of the game. Mike Padgeon was given the assist. Niagara Falls will play the same Binghamton team next Friday and Saturday, September 21st and 22nd, at the Ice House Sports Complex in Binghamton. The next home games for the PowerHawks will be October 6th and 7th against the Skylands Kings.